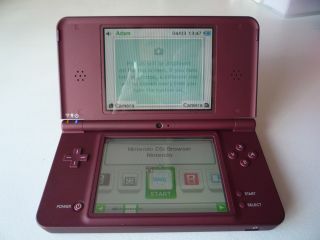 Nintendo's new DSi XL is designed for adults with larger fingers, but is it worth shelling out £160 for? Nintendo is rumoured to be preparing an Nvidia Tegra powered successor to its popular DS handheld, following the recent UK launch of the DSi XL. The rumours were swirling amongst the crowds of games developers at the Games Developers Conference in San Francisco earlier this month, with talk of a possible unveiling at this year's E3 in June. Raymond Padilla claims that several developers working on the next-gen DS have said at GDC it could be announced at E3 in LA in three months' time. It adds that the development kits are similar to those developers received from Nintendo for GameCube and Wii, with an Nvidia Tegra chip set included as its CPU/GPU (instead of ATI's CPU chips which were used in GameCube and Wii). The developers Padilla spoke with also claimed that the DS2 will have an iPhone-style accelerometer, as suggested by Nintendo CEO Satoru Iwata late last year. For now though, we will have to ride the rumour train until E3 in June, when Nintendo will do one of two things: It will announce the successor to the DS. Or it won't. Of that we can be fairly certain.